by actualizing with innovative solutions..
aesthetic interventions combine to create an exciting result. An important and valuable operation for the redevelopment of an ancient convent from the ‘600s. A spectacular exhibition focusing on nature and children with the theme of “A green life for future generations”. for harnessing the potential of architecture. The project for the restoration of Sant’Agata in the Carmine was given The Italian Heritage Award first place. This commemorative park is located in Al ’Amarah, capital city of the Maysan province, Iraq, along the banks of the Tigris river. Architecture is a living organism, with a history of its own, a birth and a life of transformations. A transformative activity, reuse adapts a building to the needs of contemporary living and should be carried out respecting the culture which produced it and the fascination it transmits. Restoration is also a work of transformation, adapting the building to the needs of modern life which must be conducted for the culture that produced it and the charm it conveys. 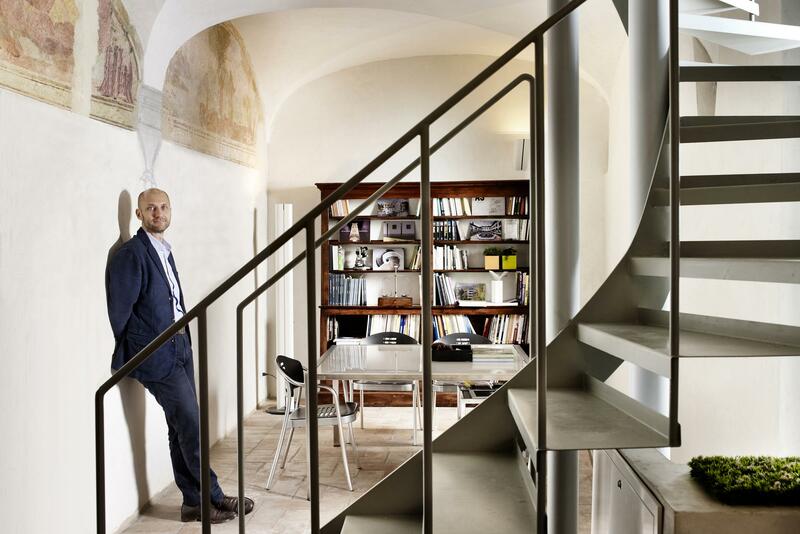 Marco Paolo Servalli is the author of important architectural projects of restoration and redevelopment. He is considered a specialist in the restoration of buildings and specifically project management.